This newsletter was originally published on March 7, 2018. On Monday, March 5, Michigan EIBC hosted its first Michigan Energy Forum of 2018 in Grand Rapids at member company Varnum’s downtown office. The main event was an in-depth presentation by Julie Baldwin, Manager of the Renewable Energy Section at the MPSC who discussed ongoing issues at the MPSC including PURPA regulations and the Distributed Generation tariff. Julie gave an overview of UPPCO’s and Consumers Energy’s PURPA cases (U-18094 and U-18090, respectively). She highlighted that over the last 14 months, Consumers Energy has received 289 interconnection applications, representing 1,256 MW of capacity. The Commission is currently conducting a rehearing to fix small errors in Consumers Energy’s Standard Offer tariff. The Commission also opened a new docket (U-20095) to determine how utility capacity requirements should be determined. Comments in this docket are due by March 19th. Until that methodology is determined and applied to Michigan’s utilities, the Commission made an interim decision that for Consumers Energy, only the first 150 MW in the queue will receive full avoided capacity payments. Julie agreed that it remains to be determined to which “queue” this decision applies. Julie also explained the Commission’s recent Order in the Distributed Generation tariff docket (Case No. U-18383). The Commission has agreed with the proposed an “inflow/outflow” system in which customers pay the full retail rate for energy they use and are compensated at a certain rate for excess energy they produce. The Commission will open a contested case to determine the value of the “outflow” credit customers will receive. Despite confusion regarding language in the MPSC Order, Julie indicated that it is the Commission’s intension to abide by their July 12, 2017 Order and allow customers to sign up for net energy metering for 10 years as long as they are “participating” before a final tariff is established in a future utility rate case filed after June 1, 2018. This means that the earliest the new DG tariffs could go into effect is April 4, 2019. Comments in this case on a number of questions posed by the Commission are due March 12. Laura Sherman, Michigan EIBC’s vice president for policy development, also spoke about solar policy in Michigan covering the latest at the Michigan legislature and the Michigan Public Service Commission. Laura explained that of the 92,000 clean energy jobs in Michigan, 5,672 are solar jobs, and the clean energy job market grew almost three times faster than the broader job market. Michigan EIBC thanks our members, representatives of the solar industry, and MPSC staff for a packed house and robust discussion! Lean & Green Michigan helps commercial, industrial, multifamily and nonprofit property owners finance energy efficiency and renewable energy projects that are profitable for all parties – property owners, contractors, financial institutions and local governments. As of March 2018, 34 local governments representing 68% of Michigan’s population were participating in our program, and we had facilitated financing of over $7 million in advanced energy projects throughout the state. A proposed bill in Michigan would ban utilities from charging additional fees to homeowners who don’t want smart meters. Advocates say Michigan’s standby rates, which independent generators pay utilities to provide backup power, are too high and often unnecessary. WEC Energy Group and CMS Energy agree to disclose climate change risks after pressure from faith-based shareholder activists. Most Michiganders should see lower utility bills starting this summer. On March 1, Cherryland Electric Cooperative kicked off Michigan’s first pilot program to help low-income customers cut their energy bills through renewable energy and energy waste reduction efforts with funding from the Michigan Agency for Energy. A solar farmhouse near Ann Arbor is one of the world’s greenest homes. Traverse City Central students are working to bring solar panels to their high school campus. Senator Ted Cruz’s efforts to negotiate a compromise on the federal government’s ethanol mandate have hit a wall. The Trump administration passes a rule requiring “quiet” hybrid and electric cars to emit engine-like sounds while running, which will take effect in September 2020. A Trump administration review that delayed funding for a DOE program that develops advanced energy technologies created significant uncertainty for funding recipients, according to a new report. Four Democratic attorneys general say they won’t let up on legal fights against the Trump administration over its environmental policies. Fossil fuel interests and utilities tell the EPA to replace the Clean Power Plan with a rule that doesn’t require any coal-fired power plants to shut down and gives states maximum discretion in how to comply. Hundreds defend the Clean Power Plan at an EPA hearing in San Francisco. Cheap renewable energy has helped the U.S. come in ahead of its goal to lower carbon emissions in accordance with the Clean Power Plan. President Trump suggests imposing a cap on the price of biofuel credits during a second White House meeting this week over the Renewable Fuel Standard. Russians used social media propaganda on Facebook and Twitter to create discord in U.S. energy markets, according to a report released by House Republicans. Tariffs imposed by the Trump administration that are planned to take effect next week – 25% on steel and 10% on aluminum – have raised concerns for energy industry leaders. Plans for curbing carbon emissions in the Midwest are “notably scarce” following the failure to create a regional cap-and-trade program a decade ago. More than 23 chapters of College Republicans join a new bipartisan group that’s calling for a national tax on carbon pollution to fight climate change. The senior vice president of REC Solar outlines five upcoming energy industry trends and explains how companies can be equipped to maximize them. Regulatory hurdles are a key factor in the difficulty of building long-distance transmission projects, according to a panel discussion at the University of Chicago. Most Ohio utilities say they are not ready to pass savings from federal tax reforms on to customers. How blockchain and batteries flipped a power-line developer to microgrids. A new study challenges the climate benefits of bioenergy from burning wood. Clean energy advocates push Ameren Missouri to transition to 100 percent clean energy. SC Johnson was celebrated for cutting greenhouse gases. The Michigan Conservative Energy Forum invites you to Catalyst Conference 2018: The Truth About Renewable Energy, March 19 in Lansing. 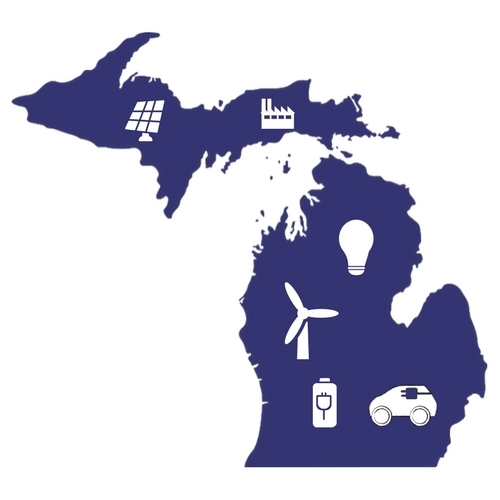 A panel of experts from energy industries including wind, solar, biomass, and more will address commonly held misbeliefs regarding renewable energy in Michigan. The event will also feature a keynote address from Senator Mike Shirkey. Register here. The Michigan Energy Office invites you to a workshop on team building, SMART goal setting, and integrating energy management planning into other organizational plans. The workshop is March 21, 9am-11:30am at the Whirlpool Global Headquarters in Benton Harbor, MI. This workshop is presented by the Great Southwest Sustainable Business Forum and Michigan’s Great Southwest Strategic Leadership Council. Register here. Michigan EIBC’s 6th Annual Member Meeting is scheduled for April 30 in Lansing, followed by a Lobby Day on May 1. Mark your calendars, and register here to reserve your spot at the Annual Member Meeting today. The Michigan Energy Office invites you to a workshop on empowering energy managers, implementing policy recommendations, and engaging stakeholders. The workshop is May 11, 9am-12pm, at the Kool Family Community Center in Battle Creek, MI. This workshop is presented by the Battle Creek Community Foundation. Register here. EUCI invites you to its Renewable Energy 101 Forum, March 12-13, in Portland, Oregon. Learn more and register here. On March 13-15, energy innovators from across industry, government, and academia will gather at the Gaylord National Convention Center right outside Washington, DC for a three-day program showcasing transformational energy technologies. The 2018 Summit agenda has been posted online! ARPA-E has assembled 20+ panel discussions (including topics on defense, bioenergy, and grid technologies), networking receptions, and technology demonstrations. (Please note the agenda is subject to change). Register TODAY. EUCI is hosting two courses on smart metering: Smart Metering 101 and Advanced Smart Meeting courses on March 19 and March 20, respectively. EUCI invites you to the Renewable Energy PPAs conference, April 3-4 in Denver, Colorado. Register here. ACI invites you to “Microgrids East 2018,” on April 11-12 in Charlotte, North Carolina. Register here. EUCI invites you to the Utility-Scale Solar Power Plant Fundamentals conference on April 18 – 19 in Portland, Oregon. Register here. Join ACI in San Francisco on June 6-7 for Grid-Scale Storage 2018 and learn through different panel discussions, site tours, workshops, and presentations on the significant market opportunities for energy storage. This three-day conference will cover all aspects of the implementation of energy storage technologies as a key enabler of grid modernization, addressing the electric grid’s most pressing needs by improving its stability and resiliency. Investment in energy storage is essential for keeping pace with the soaring demand for electricity. Register here. You’re invited to the EV Roadmap 11, June 19-20 in Portland, Oregon. 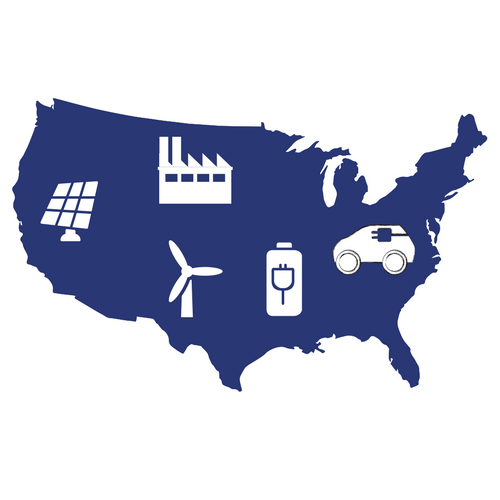 The Roadmap Conference is the nation’s largest and most advanced annual conference on electric and smart mobility. Held each summer in the Pacific Northwest, Roadmap includes nearly 100 national and international speakers, dozens of exhibits, regional smart mobility tours, and high-energy interactive sessions. Expect to make connections with a diverse mix of key leaders in the industry, government, and utilities. Register here. You’re invited to the Grid Evolution Summit hosted by Smart Electric Power Alliance (SEPA), in Washington, D.C., July 9-12. At the Grid Evolution Summit, you’ll have the opportunity to create solutions that will leave a lasting impact on our energy future. Register here. The Michigan Battle of the Buildings is April 18. Join the awards and recognition program for energy use reduction today! The competition is open to all Michigan area commercial, industrial, non-profit, educational institutions & multi-family buildings. Any building type except single family residential. Registration ends March 31. Nominations are now being accepted for the Governor’s Energy Excellence Awards to honor Michigan organizations and individuals for their commitment to responsible energy production and consumption. The Governor’s Energy Excellence Awards celebrate outstanding achievements by recognizing people and organizations that have taken firm, meaningful actions to stop energy waste. Last year, energy solutions honored at the awards ranged from installing energy-efficient, state-of-the-art heating, cooling and lighting systems to common-sense, lower-cost steps like caulking windows and adding insulation. Nominations can be submitted online at www.mienergyexcellence.org through March 31 with winners to be announced at a celebration in the fall. The Michigan Agency for Energy announced a $400 discount for public building operators who attend building operator certification classes this year in Grand Rapids, Saginaw, Lansing or Detroit. Register here for a Level 1 class and here for a Level 2 class.